Police have made an arrest in an Aug. 4 armed robbery at a storage business in North Chattanooga after a fingerprint and video match. 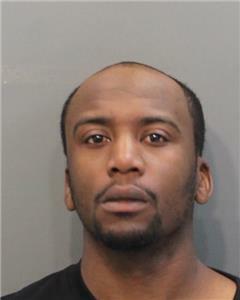 Carey Lamar Williams, 28, of 22 Wert St., is charged with aggravated robbery. Police had responded to 902 Dallas Road, and the clerk told officers he had just been robbed by a man armed with a tire tool. He said he went outside to check on a storage unit, then encountered a man in the office area when he returned. He said the man ran up and began fighting with him while demanding the store's money. The clerk ran out and the man tried unsuccessfully to open the cash register and the safe. He managed to grab a few rolls of pennies before fleeing. He dropped three rolls of the pennies and left them behind. The clerk said he saw the man get into a four-door, dark-colored Pontiac Grand Am. Police said the suspect was not wearing gloves and he left several fingerprints. One of those came back as a match to Williams. Police said the incident was caught on video and the robber matched the description of Williams.